We CANNOT accept and will not accept any instructions verbally over the phone. Proofs are available for $15.00 for the first proof per logo. $5.00 for each additional. We ask that all orders are placed at least 2 weeks before the due date. That includes finalized order of product and all etching/engraving & logos. If you make changes to an existing order OR if you place an order withing the 2 week time frame, you are liable for a $50.00 rush charge. Engraving on any metal is .30 a letter on flat pieces and .35 on round pieces. Gifted is NOT responsible for any misspellings or errors that you have submitted on your engraving instructions. It is the buyers responsibility to ensure that all names, dates, wording is correct. ANY changes must be submitted electronically and we will follow up with a phone call to confirm. There will be a ONE TIME charge of $40.00 for new all logos that are not submitted to us in an EPS file. We will accept a JPEG file, but there will be a $40.00 art charge. Each logo will be heavy cross-hatched starting at $5.00 per award or gift. Pricing depends on time on machine and detail. All wording & logos on crystal and glass is included in the price of the item. For multiple pieces there is a mask fee of $8.00. Prices go down starting at ten pieces per event. All logos on crystal & glass will have a ONE TIME $40.00 set-up charge per logo. Gifted has a wide variety of plaques and plates that can be applied to certain gifts and awards. 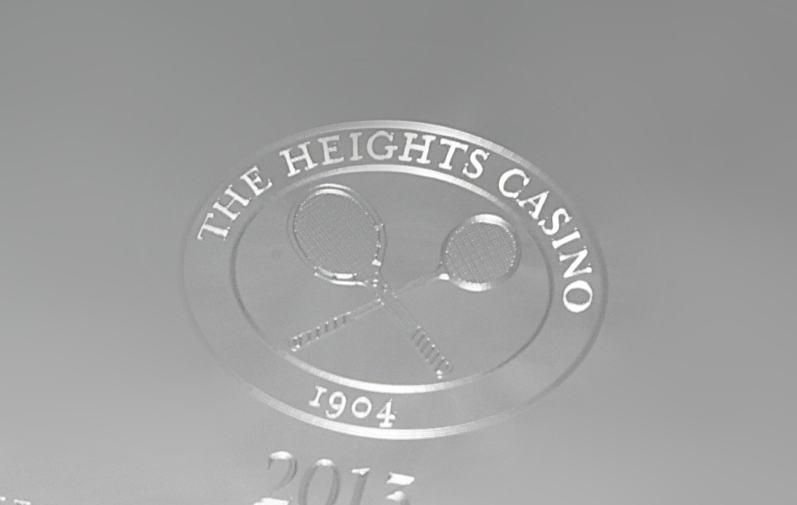 A variety of metals and finishes start at $4.00 per single plaque. A plaque with a backplate is $8.00 per award. For further information and sizing, please inquire with your order. The minimum order is a 150 pieces. This can be a combination of enamels for awards, pins, or cufflinks. It will take about 6-8 weeks for the order to be processed and completed. All art work is to be submitted as a JPEG file with PMS colors.